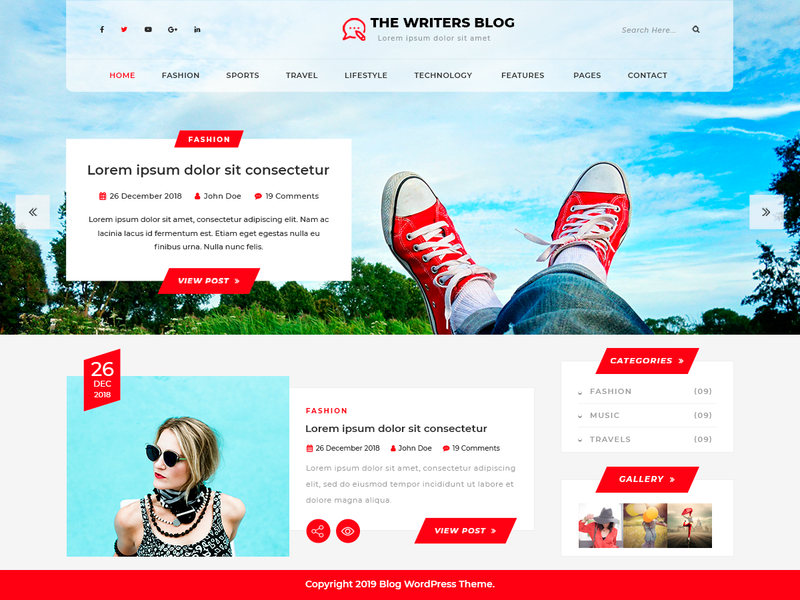 This free blog WordPress theme is minimal, sleek, versatile and stylish to make the best use of the online space to deliver your content in an interesting manner to evoke visitors’ interest in reading. It is flexible to be used as a blog, portfolio, online journal, landing page, news and magazine website, biography writing and similar stuff. The layout of this blog WordPress theme gives immense space to add various different content categories without distracting readers from main content. Its backend interface is so simple that you do not require any previous coding knowledge to handle the theme on your own and its vividly explained documentation will further aid you in installing, configuring and making small changes to it. This blog theme has super smooth navigation and it loads with such a great speed that your visitors will only have good experience. This free blog WordPress theme is readily responsive to make content accessible from mobile, tablet and desktop of any size; it loads on all browsers and its SEO is very efficient. It allows you to write content in any language and style, from right to left as well. A blog does not have any limitation of state borders; hence we have included social media icons to make your content reach all corners of the world through various networking platforms. It is integrated with WooCommerce plugin to use your website as an online store by exhibiting products in beautiful shop layouts.